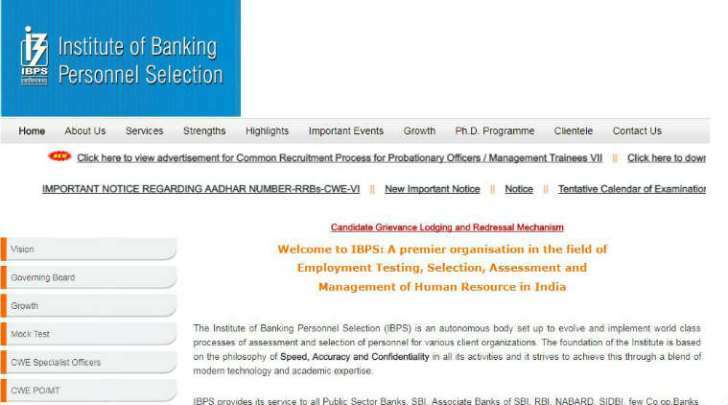 The Institute of Banking Personnel Selection (IBPS) has released recruitment notification for the post of Probationary Officers (PO)/ Management Trainees in public sector banks at ibps.in. The online registration process will begin on August 16 and will end on September 5, 2017. Candidates will have to appear for the preliminary examination followed by the mains. A candidate should be a graduate in any discipline from a university recognised by the government of India or have any equivalent qualification recognised as such by the central government. Eligibility: Graduation from UGC recognised university or equal qualification. The candidate must possess valid mark-sheet / degree certificate on the day he/she registers online for the IBPS PO/ MT exam. Be the first to comment on "IBPS CWE PO/ MT exam 2017: Notification out, apply from August 16 at ibps.in"